Gift cards are a great way to increase awareness for your store and get users to really take ownership of your branded items. 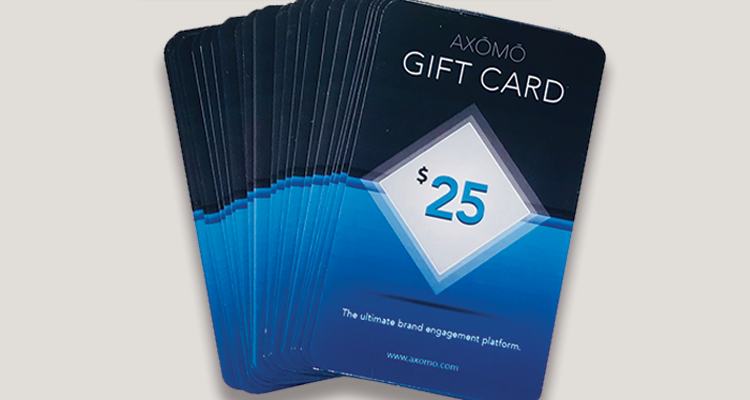 Did you know you can give not only e-gift cards, but also physical gift cards through AXOMO? Head over to the admin panel, select “Gifts”, then click on “Add New”. Select the budget you would like the gift cards to be taken from (HR, marketing, etc.). Enter an administrative note to internally keep track of what the gift card was used for. 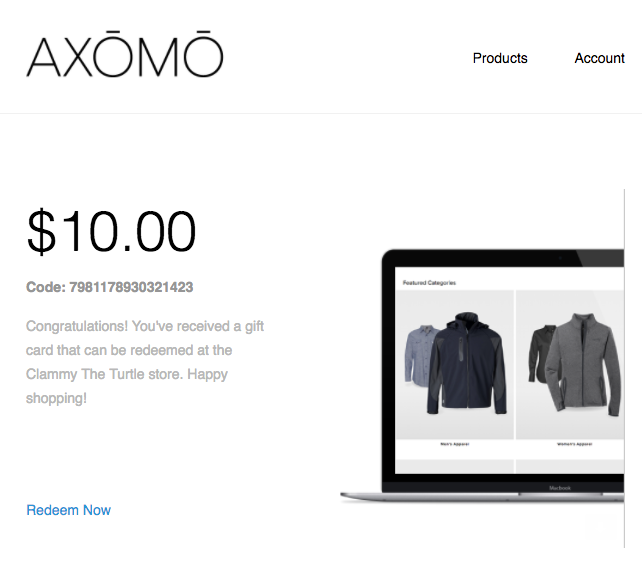 Put in the desired quantity and dollar amount and AXOMO will automatically generate the card numbers for you. You can also select “Only Generate Codes” to send the gift card codes using another method. Put in the email addresses or enter the user information for anyone you would like a gift card sent to, add a note if you’d like the email to have a special message. Follow steps 1-3 above and select “Only Generate Codes”. Copy and paste these codes and save them in a comma-separated (CSV) file. Reach out to your Namify sales representative to have plastic gift cards made with the codes you generated. Once you have the gift cards, you can give them out yourself or put them on your store for users to buy and share with others! Gift cards have been a highly requested feature for a while now, so we’re excited to have this easy, new method to distribute them to your users.